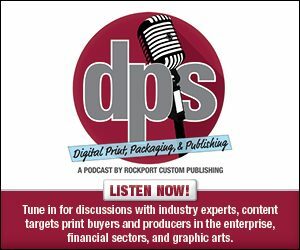 “The print community has really been stepping up, sounding off, and taking strong positions on a broad range of topics through discussions in our various social media channels including my LinkedIn group Print Production Professionals, and PMC’s weekly #PrintChat on Wednesdays at 4PM ET”, stated Deborah Corn, Principal at Print Media Centr. “Through Print Fight Club, we’ll take some of the most significant topics to the next level, opening these discussions up to everyone. We will invite a broad spectrum of community members to represent their side of the story in a forum where all points of view can be heard,” she explained. • Will Managed Print Services be the end of in-house Print Buying? • Can traditional Print Buying be saved? Should it be? • What is the difference between Print Service Managers and Print Brokers? • How will Printers be affected by this shift? To register for Print Fight Club, and sign-up for regular series updates, please visit: webinars.printmediacentr.com and follow #PrintFightClub on Twitter.